When it comes to lifting, finding the proper gloves in cruelty-free form can be a chore. Twice this year I had to return gloves because once I got home I noticed there was a small bit of leather on them. Homey Don’t Play That. But it’s not as if there was a whole plethora to choose from so I lowered my standards and bought some wrist straps for extra protection. The good news is that you don’t have to lower your standards because GoFit has got the perfect vegan friendly weight lifting gloves for you. The Diamond-Tac gloves are made from faux leather that will not bleed when you sweat and can be easily cleaned. 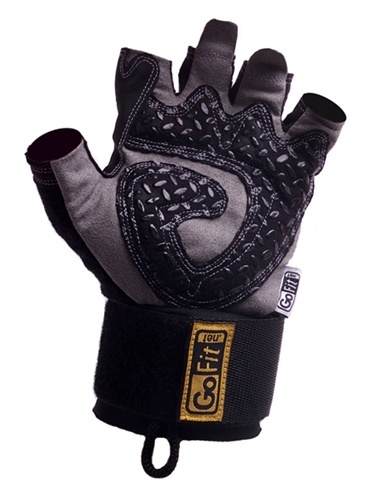 The knuckle region is made from neoprene which is flexible and will not mess up your grip at all and the palms are double padded so you can easily push out those last couple reps.
http://www.amazon.com/GoFit-Diamond-Tac-Weightlifting-Wrist-Training/dp/B0007W2FFE/ref=sr_1_2?s=sporting-goods&ie=UTF8&qid=1349786682&sr=1-2&keywords=gofit+weightlifting+gloves Buy Them Here On Amazon.